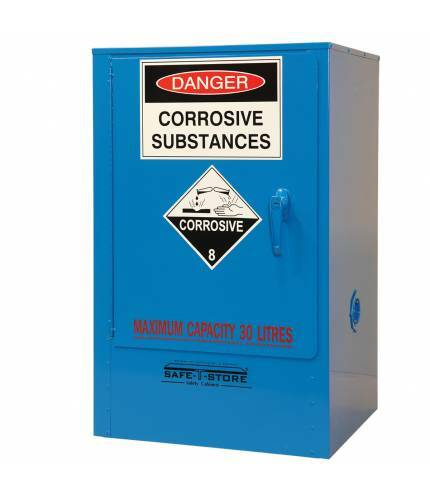 160 litre capacity corrosive substances cabinet made from high density polyethylene. Secure and adjustable storage with additional shelves and ventilation ports as available options. Under bench storage cabinet for corrosive substances with a 100 litre capacity and featuring the patented sequential closing system. Everyday safe storage for most classes of Dangerous Goods, fully compliant with legislative construction requirements. A well respected performer in all areas of Dangerous Goods storage throughout all industries. Storage cabinet for corrosive substances with a 160 litre capacity and featuring the patented sequential closing system. Everyday safe storage for most classes of Dangerous Goods, fully compliant with legislative construction requirements. A well respected performer in all areas of Dangerous Goods storage throughout all industries. 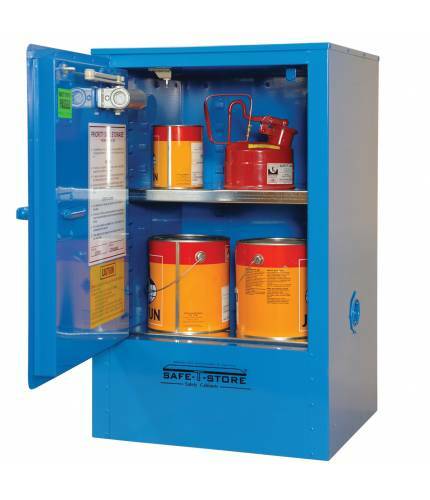 Storage cabinet for corrosive substances with a 250 litre capacity and featuring the patented sequential closing system. Everyday safe storage for most classes of Dangerous Goods, fully compliant with legislative construction requirements. A well respected performer in all areas of Dangerous Goods storage throughout all industries.